Experience the excitement and pageantry of the 2018 K-Days Parade! 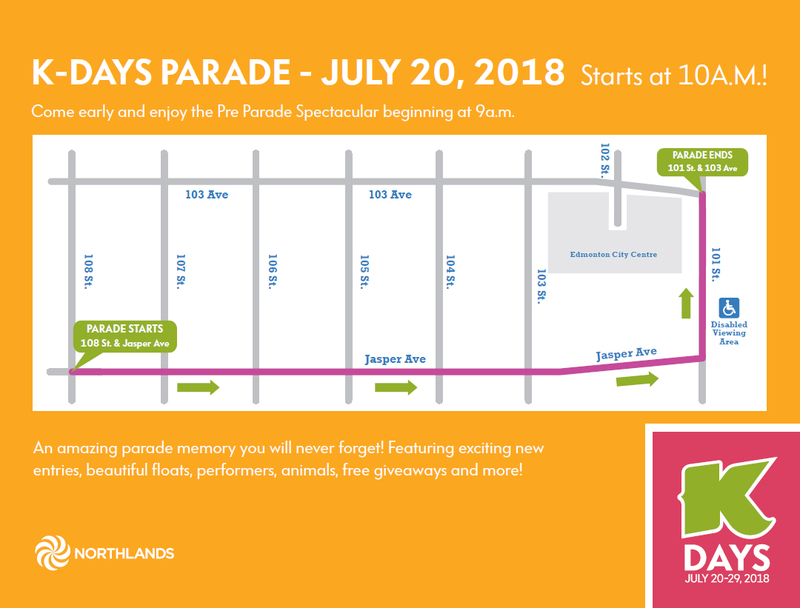 On Friday July 20, the streets of Downtown Edmonton will be teeming with parade entries, including beautiful floats, giant balloons, performers, animals, antique cars, free giveaways and more. The parade route starts on 108 Street and Jasper Avenue, heading east on Jasper Avenue, and north on 101 Street, ending at 101 Street and 102A Avenue. Get there early to grab a good spot and watch the Pre Parade Spectacular at 9am! For a complete list of events, exhibits and entertainment, check the K-Days website. There will be a number for road closures in place to accommodate the parade. Those travelling to and from downtown, as well as businesses along and around the parade route should expect travel delays and plan accordingly. Parade goers are encouraged to plan ahead and take ETS if possible. 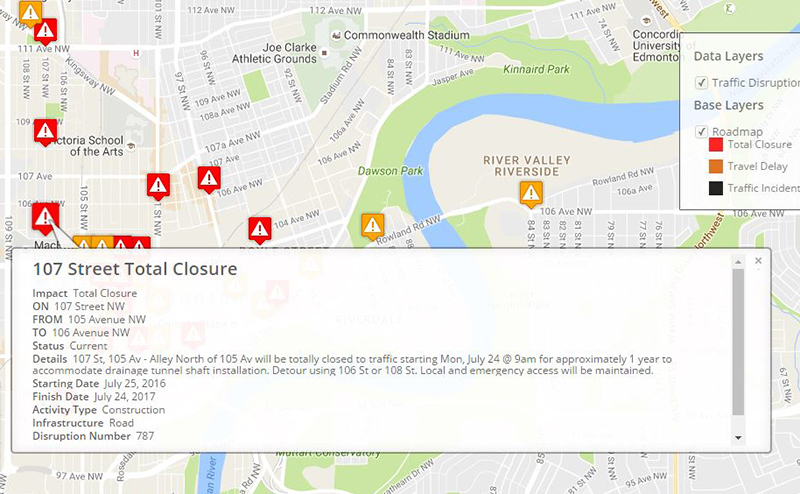 6am-2pm - The area north of Jasper Avenue and south of 104 Avenue from 105 Street to 108 Street will be closed to vehicles from 6:30am until 2pm. Access to off-street parking facilities in this area will be maintained via 106 Steet and 107 Street until 8:30am. 8:30am-2pm - With the Parade route starting at 108 Street and turning north onto 101 Street, Jasper Avenue from 109 Street to 100 Street and 101 Street from Jasper Avenue to 102A Avenue will be closed to vehicles. Street Parking will not be permitted in the affected areas, with vehicle tag and tow operations in effect. ETS Special Service is the quick and easy way to get to K-Days. Use Capital Line LRT or Routes 5, 8, 10, 99, 125, 141, 142, 143, 577 or 591. Extra Capital Line LRT service is available all day on weekdays and after 10am on weekends. Regular fares apply. Buses use regular weekday and weekend schedules with extra service on Route 8, 577 and 591 from mid-day until late night. Late Night Owl Service is available until 3am on Routes 1, 4, 8, 9 and 512. Children 12 and under ride free on ETS when they're with a fare-paying adult.